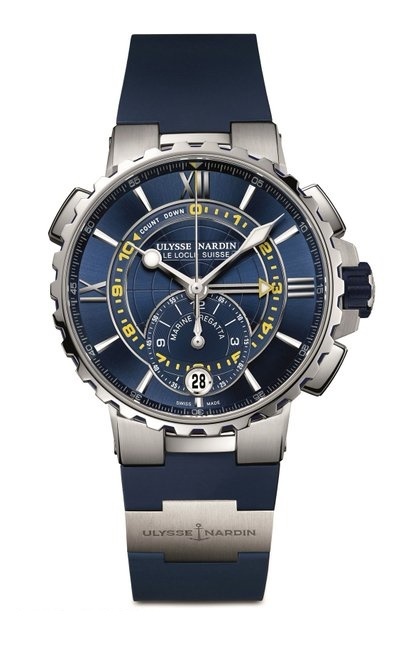 Stainless steel, 44mm case, in house Ulysse Nardin three day power reserve, automatic movement with date, and backward count down function with starting Chronograph as well.It features an exhibition glass case back and is available on sporty blue rubber strap, with titanium folding buckle. Join us on INSTAGRAM and FACEBOOK. We would love to have you!